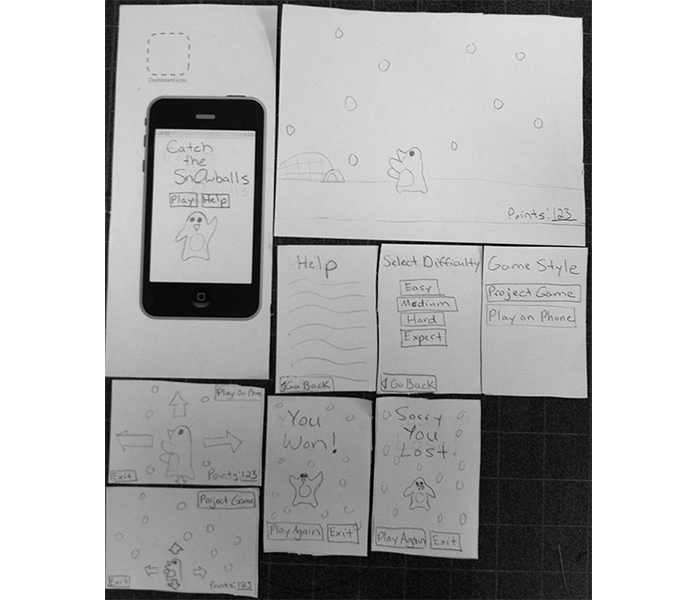 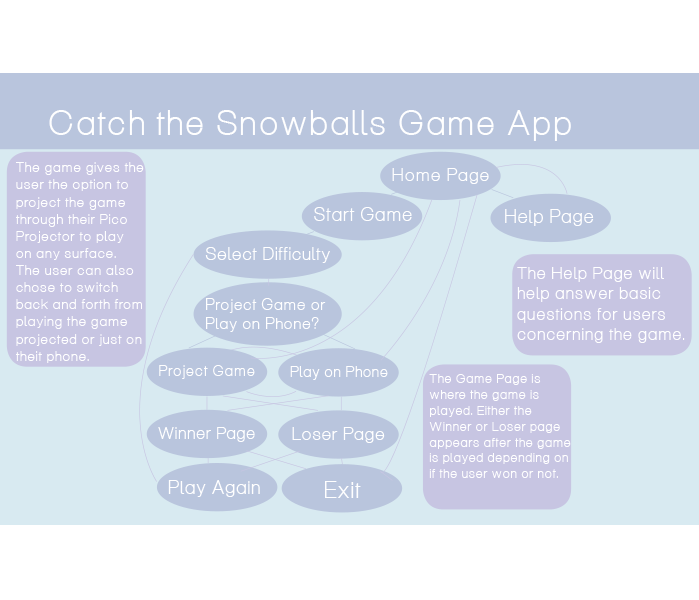 This is the game called Catch the Snowballs which is an app made to play on a smartphone. 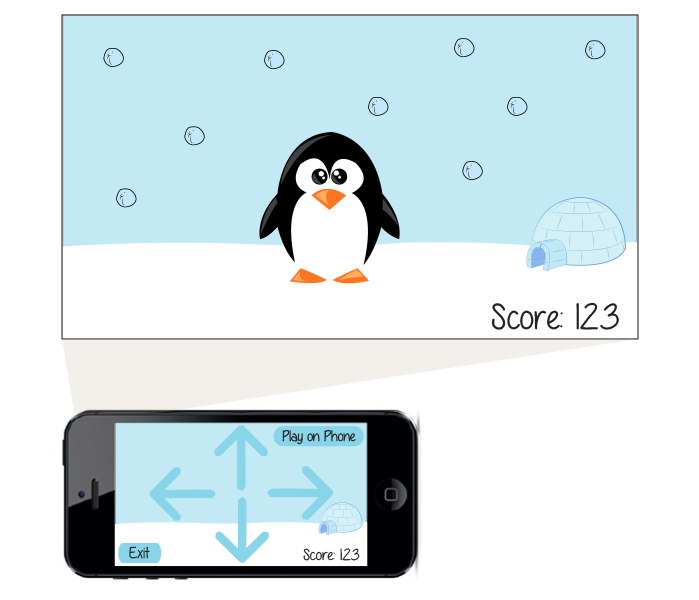 It involves a penguin catching snowballs and earning points. 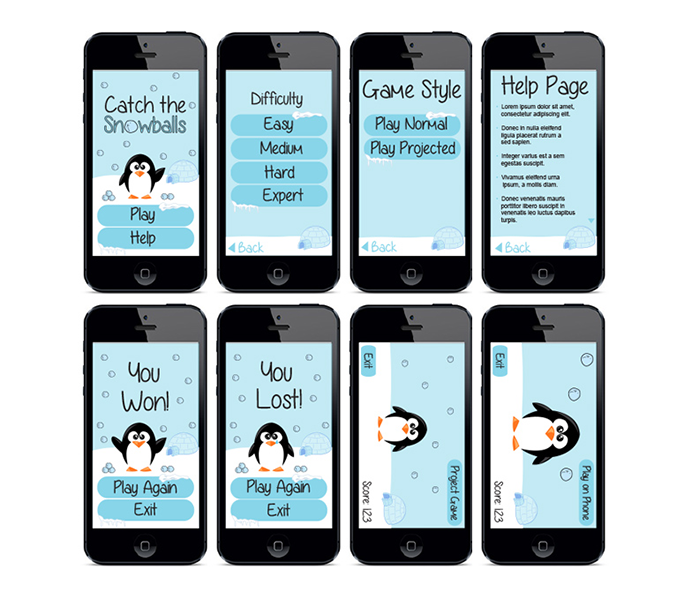 If the penguin misses too many snowballs the user loses the game. 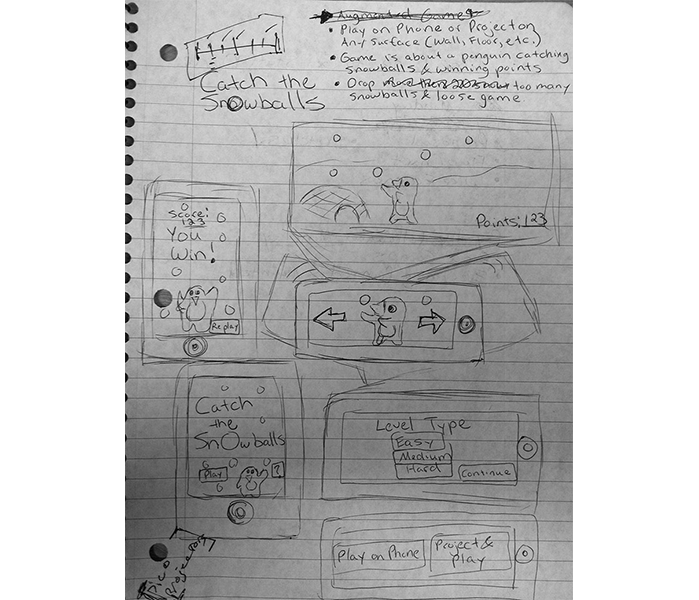 The game also allows the user to project the game onto any surface to play on while they use their phone as a game controller. 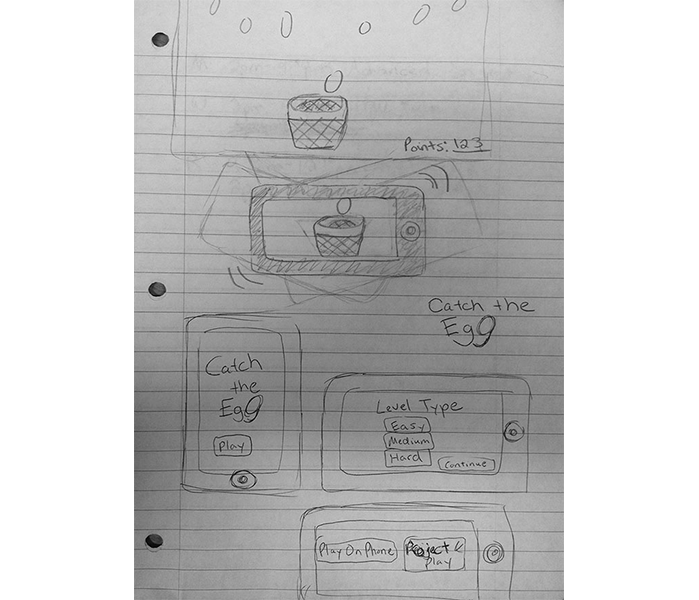 The user just needs to have a Pico Protector attached to their smartphone to project the game.